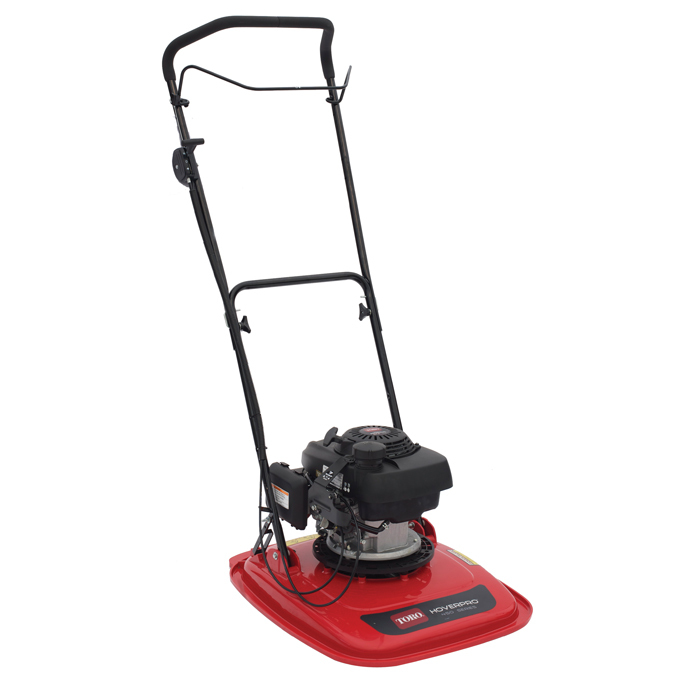 The Toro HoverPro 450 Ho hover mower has an 18" cut and is fitted with a 135cc/4.5hp Honda GCV135 four-stroke engine making it suitable for larger sized domestic gardens. Fitted with a FlexiBlade™ cutting system and an adjustable height of cut from 12-50mm (0.5-2"). Hi-Rise Kit - Simply Bolt to existing seck to increase the height of cut by 35mm. Transport Wheels - Makes machine easier to manoeuvre to and from cutting areas. Extension Handles - Makes working on a slope or hard to reach areas even easier.